Após a reserva da propriedade, nosso número de celular está disponível. (por segurança) Podemos então nos comunicar. Bem-vindo com uma taxa baixa de estimação. O Kayenta Art Village será um prazer para fazer compras. Abundância arte de todos os tipos; até mesmo os fabricantes de cerâmica. As bicicletas estão disponíveis para alugar em St. George (entrega) por semana ou do dia. Grande piscina olímpica para os hóspedes de Kayenta Village e caminhadas apenas fora da porta. O café gourmet "Xateva" é um não perder experiência de jantar para bebidas ou jantar (em fins de semana mediante reserva) Os proprietários vão ser muito surpreso se você não está satisfeito com a experiência e querem voltar. Lembre-se, a melhor propaganda é a boca. Rich and I enjoyed our stay in Ivins. Sally's place was perfect for the two of us and our puppy, Zoey. It was great to have a place where we could bring her with us. We enjoyed strolling around the shops at Kayenta and eating at the restaurant there, Xetava, which we recommend. We did some hiking in Snow Canyon area and next time intend to bring our bikes down. The casita was well furnished, had all the cooking items we needed for eating in. We both enjoyed the big soaking tub. The view off the back patio is spectacular, and the location is very quiet. We would definitely consider booking this unit again if and when we return to St. George. The location of this Casita is stunning! 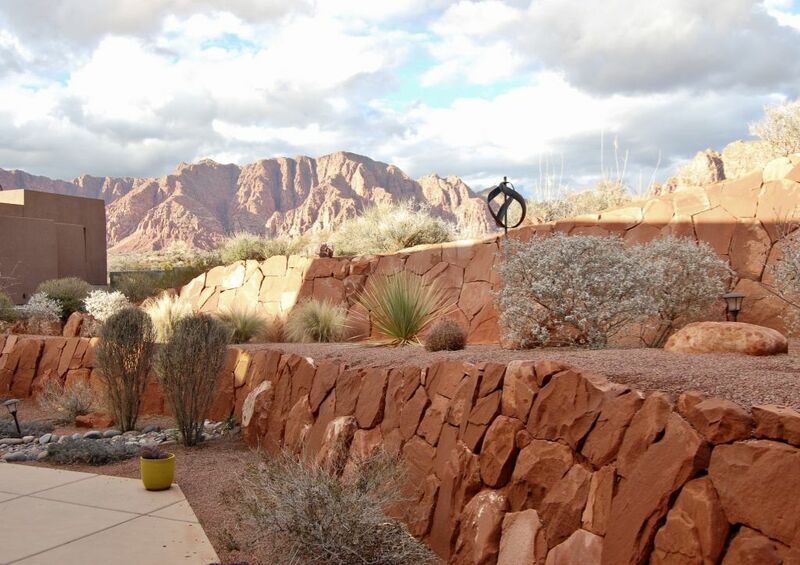 It is in the perfect location for hiking or biking or just watching the stars and red rock. The casita has a large bedroom, even larger bathroom and a nice living space with a full kitchen. There is a wonderful restaurant 2 minutes away and all the necessities of St George in around 15 minutes. We will definitely return! Nice, quiet location but not too far from town. The property was excellent, very clean and nicely furnished. The hosts were wonderful and were happy to help us with anything we needed. We had a great time staying here and I highly recommend. Could have not found a better place for time away from the big city - we will return! Sally was an amazing hostess helping with anything. It’s absolutely quiet with stunning views of the mountains from each room. Bed is super comfy. Hiking trails are within a mile. We loved everything about our stay. This is a fabulous place to stay. Highly recommended. Large comfortable, well appointed space. The courtyard outside is wonderful. It is located in a great area near a few shops and a cafe. Perfect place for relaxing or exploring all the sites in the area. Hosts are responsive and add to the enjoyment of your stay. parece ser o mais popular para eventos. Confira a St. George, UT eventos do ano. Há muitos e estão listados na internet.